Anaheim elected officials and workers will be barred from lobbying the city for two years after they leave their jobs under a new “sunshine ordinance,” the strictest restriction on government lobbying in Orange County. The League of Women Voters is “disappointed and dismayed” by the Board of Supervisors’ plan to give supervisors more power over the ethics commission that was approved last year by county voters and called for supervisors to back off. Claudia Perez, who directs the Santa Ana-based advocacy group, Resilience Orange County, challenges Santa Ana city council members, asking whether they will allow their former police chief – who is suing the city alleging corruption – to seek his day in court or instead settle his case, hiding the true nature of political power in Santa Ana from local taxpayers. 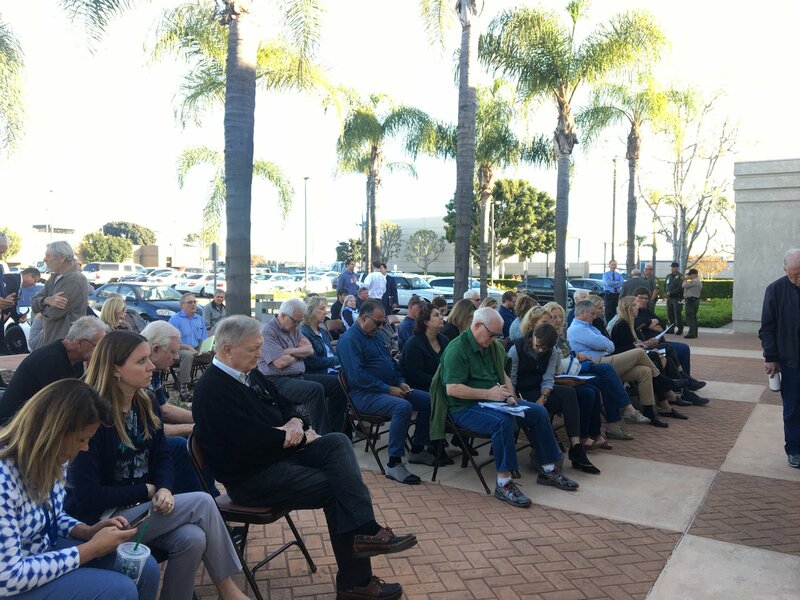 San Clemente resident Eva M. O’Keefe challenges the Transportation Corridor Agency to be more open and transparent about its road building plans and community meetings, calling out policies that restricted First Amendment rights of expression at a recent June forum. San Clemente resident Cord Bauer writes that taxpayers should be on watch against plans by Orange County’s toll road agency to expand roadways in South County, arguing they are an expensive policy throwback to the Eisenhower era, packed full of bad side effects for both local residents and county taxpayers. In August 2015 Amy DePaul wrote about new approaches to helping the homeless for Voice of OC. “The approach, dubbed “housing first,” focuses on placing people a home, and then offering the psychiatric and logistical services that would help them improve their health and well-being,” DePaul wrote. Her article featured Donald Meade, a once drug-addicted man who battled cancer and chronic heart problems while living on and off in downtown Santa Ana’s Civic Center, along with hundreds of other homeless people. DePaul shared how Meade, thanks to the Illumination Foundation, had been placed in a one-bedroom apartment in Fullerton and was being aided through recovery. Flash forward to April 2017. Over $100 million in taxpayer money has been spent since the most recent audit, which was in 2002. The aging system is proprietary, and no bids have been sought from other companies for its $140 million overhaul.